The winners keep on rolling for Dalziel Racing with an interstate double on the weekend providing the team with their sixth winner in November alone! LUNA MISSILE made it back to back wins with another commanding performance at the Gold Coast yesterday in the Class 2 over 1200m. 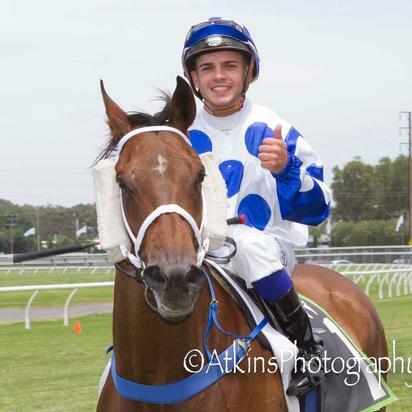 Daniel and Bryan Guy have this son of Smart Missile absolutely flying and he may just be destined for bigger and better things with a little more race experience. 'He's maturing in to a really nice 3yo. Bryan, Daniel and I loved him as a yearling at the 2016 Gold Coast Magic Millions and he's furnishing in to a nice type'. Said Wylie after the win. 'He's a horse who will be better again with another race preparation so whatever we are seeing now I think will only be improved going in to 2018'. In South Australia the ultra consistent PHELP'S GLORY got the job done after fighting hard in the small but competitive field over 1400m in the opener at Morphettville. Ridden by Chris Caserta the 3yo son of All American led up the small field before trying to slip away from them as they straightened for home. Unable to shake off the favourite, who headed Phelp's Glory 150m from home, Chris sat down to ride the gelding out before prevailing on the line in a narrow but tough performance. That's his second career win from just 8 starts (4 x seconds) with both victories coming at metropolitan class in Adelaide. Remarkably, such is the consistency of the 3yo, in his 8 start career to date he has not finished any worse than 3.5 lengths from the winner which happened to be the only time he has not finished top 4 in the run! And in a timely reminder that the sale season is just around the corner, the weekend winners in LUNA MISSILE and PHELP'S GLORY were bothMagic Millions purchases in 2016! Well done to all out connections, trainers and jockeys who continue to get the job done for Dalziel Racing!